What's the difference between aluminum series 6000 and aluminum series 7000? 7 series is much harder than 6 series and more difficult to machine - to a certain point. The thing is that it's so hard (for aluminum) that chips don't generally stick to the endmill like 6 would. RE: What's the difference between aluminum series 6000 and aluminum series 7000? the 7000 series is a higher strength alloy than the 6000 series and contains larger amounts of zinc & magnesium. 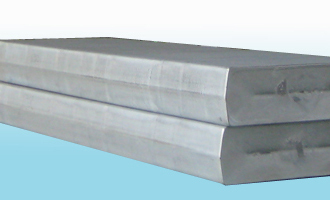 In general, aluminum such as 7075-t6 does not require heat treating after welding. The 7000 series is a little tougher to machine compared to 6000 and tends to be more free machining. It is not as ductile. When machining any aluminum you do not want the chips to stick to the endmill. If you have a problem with that it could be feerates too slow, rpm too fast, wrong number of flutes (too many) when slotting/pocketing (chips not evacuating), depth of cut too deep, or lack of lubrication/coolant. 7000 series corrodes more easily than 6000 and will discolor quickly when using synthetic coolants.